How can I add external jar file to project? 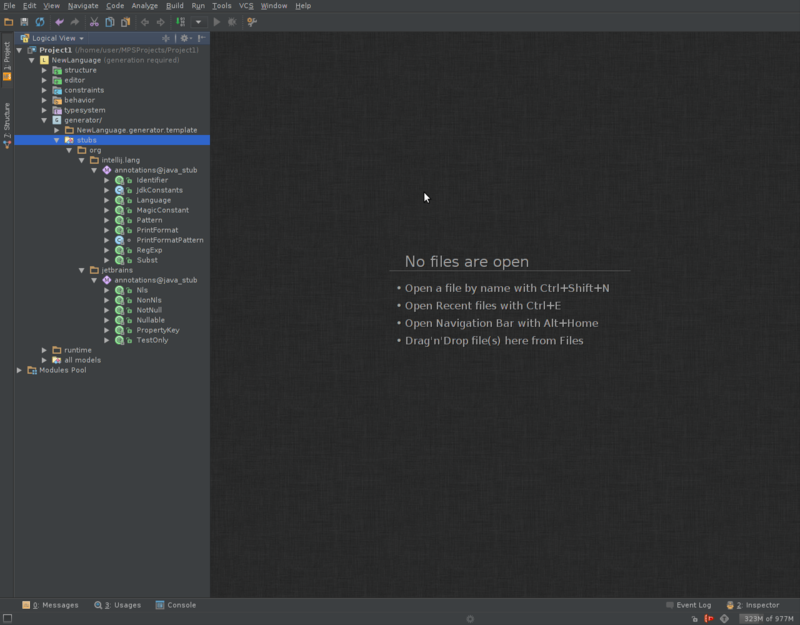 It seems that the way I added jar in 2.5 doesn't work anymore - I can't find compiled java stubs model after import. I also tried to create a "Model from Java Sources", but this thing doesn't work also (this must be MPS-18147 bug). @Askar: it should be possible to create model root pointing to the jar and loading .class files from there as model elements, but this looks like unrelated question. 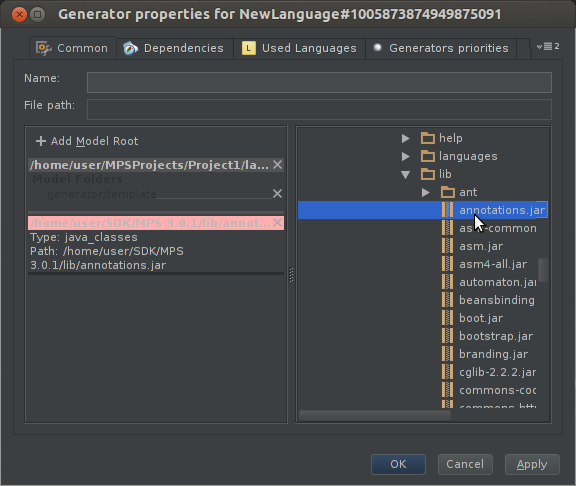 Model roots (language properties dialog) is the way to do this. However, be advised that you will need to work hard to add each model root in MPS3, you need to select a jar file using the panel on the right, which looks nothing like a file dialog and is particularly not user friendly (at least on Mac). Note that you cannot select multiple jars to create several new roots at once. Clicking on a previously defined model root is also likely to change the path the root points to to something arbitrary. Try to remember the name and location of the jar file before you click. The UI seriously needs some improvement. I'm glad I'm not the only one who dislikes the new interface for importing stub models (Mac here as well). This might be not enough to compile the code though. 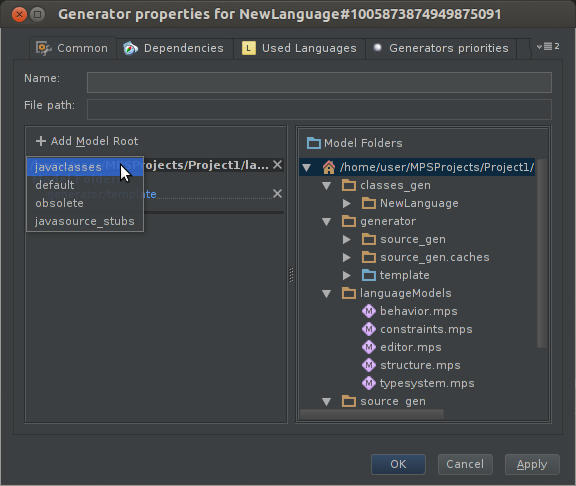 If "missing class" errors appear pointing to a library you added as a model root, you also should add this library in "Java sources" tab. Please somebody could provide details of how to attach a jar file so that I could use them in my generators. I have spent two half days for it without success. I am using MPS 3.0.Thanks in advance. Then just import stub models that you need to main@generator model to use them. Thanks a lot. That’s exactly how you import java stubs (jar files) to MPS 3.0. This is weird, since the imported jar files contain .class files, i.,e. compiled Java code. I don't expect this to be compiled at all. Any idea what went wrong? 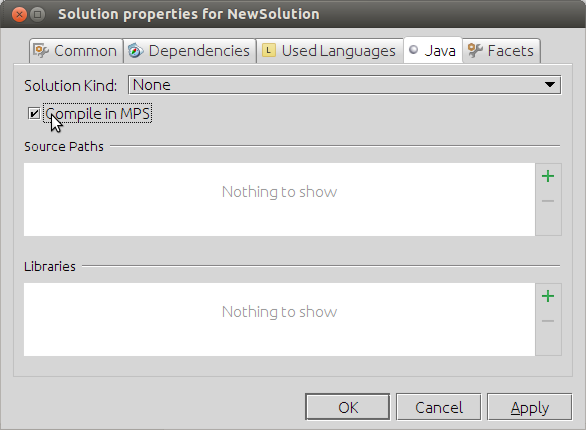 You need to open solution settings -> choose "Java" tab -> select checkbox "Compile in MPS"
BY the way, I also had to add the jar file under the java / libs tab to be able to run it. In addition to the above procedure. Actually, the generated Java text should not be compiled at all. It is picked up by an Eclipse instance that will compile it. Can this be done?